Australian Prime Minister Malcolm Turnbull has confirmed that the resettlement of over a thousand asylum seekers on remote Pacific islands will go ahead as planned, beginning with a first group of about 50 men and women in the coming weeks. As many as 1,250 people held in controversial Australian-run centres on Nauru and Manus island are to be resettled in America as part of a refugee swap deal struck between Turnbull’s government and the Obama administration late last year. In return, Australia will begin taking in Central American refugees within weeks under the deal that President Donald Trump described as “dumb” but agreed to honour. However, concerns remain about exactly how many asylum-seekers will be resettled. “There will be about 25 from both Manus and Nauru will be going to the United States and I just want to thank again President Trump for continuing with that arrangement,” Turnbull said. Refugees and advocates have cautioned against assuming the US would take the full allotment, with its processing so far concentrated on individuals with applications that are both easier to verify through background checks and originate from nations with closer ties to the United States. According to Ian Rintol, spokesman for the Refugee Action Coalition.“Iranians are about a third of the refugees on Manus but are only about 10 percent of the ones interviewed so far. 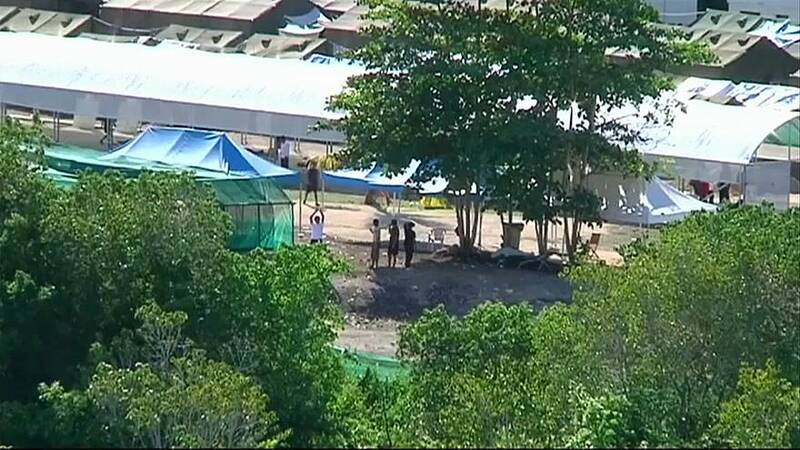 About 25 men from countries such as Bangladesh, Sudan, and Rohingya Muslims from Myanmar held on Manus island were the first to be told on Wednesday, with a similar number on Nauru to be told Thursday. “It feels like my dreams are coming true. All we want is to go to a safe country,” said the refugee, who declined to be identified for fear of jeopardising the resettlement.